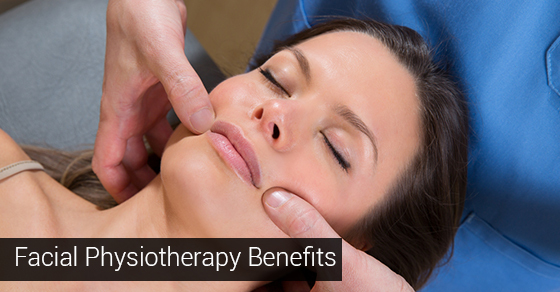 Benefits Of Facial Physiotherapy | Dynamic Physiotherapy & Sports Injury Clinic Inc. Some people think about physiotherapy as a treatment for people who’ve gotten whiplash from a car accident or who’ve hurt themselves after hitting the pavement while out shoveling snow. But physiotherapy is actually a useful option for a whole host of ailments and conditions, and one of those things is facial injuries. This blog post will look the benefits of facial physiotherapy by covering facial paralysis, looking at the impact this condition has on, focusing on the benefits of facial physiotherapy and looking at how long it might take to see progress from treatment. Physiotherapy is an option for people who have facial paralysis. The facial nerve is one of the dozen cranial nerves. Unfortunately, the facial nerve is subject to possible injury due to various types of mishaps. People who have nerve paralysis of the peripheral facial variety get it due to Bell’s Palsy, a tumor extraction, trauma, or congenital ailments. People who have nerve paralysis of the central facial variety get it as a result of a stroke. Facial paralysis can have a major negative impact on the qualify of life of those with the condition. In fact, people with facial paralysis are often left unable to shut the eye on the side of their face affected by the paralysis, which can cause that specific eye to experience eye irritation. People may have a hard time keeping food and drinks inside of their mouth, and can find it hard to speak. People with facial paralysis can recover with the aid of physiotherapy. Physiotherapists can help people who are in the acute phase of facial paralysis, where there is zero facial movement on the affected side. For instance, they can help patients to learn how to care for the affected eye and can also help them to use self-massage techniques on the face muscles. When patients regain some movement, physiotherapists can help by teaching patients some exercises to help to regain symmetrical facial movements. While recovery from facial paralysis is possible, it won’t happen overnight. The amount of time required for a recovery will depend on the extent of the injury and on the treatment administered. Bell’s Palsy is the number one reason people get facial paralysis. If the condition is diagnosed and treated with little to no delay, and if the physiotherapist decompresses the nerve with anti-inflammatories, 7 in 10 patients can look forward to regaining movement within about three weeks, with full recovery coming in between six weeks and three months. That said, full recovery could take years for people whose facial paralysis is a function of facial trauma or due to the end result of a tumour extracted from the ear. Facial paralysis is a condition that, while serious, can be treated with physiotherapy. People with the condition can consult their family doctor for a referral to a physiotherapist to see how they might be helped with physiotherapy.